Stranger-danger kidnapping: Denise Kroutil, Elizabeth Hupp arrested after staging fake kidnapping of their nephew, son. 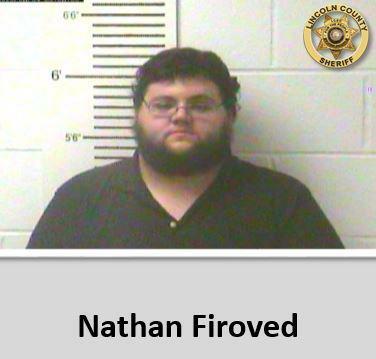 Nathan Firoved is being held on a $250,000 bond. What would you do if you were afraid that your 6-year-old nephew was a little “too nice” and trusting of people he didn’t know: A) sit down and explain to him the dangers of talking to strangers, or B) stage an elaborate fake kidnapping complete with a gun and threats of sexual slavery? If you answered A, Congratulations! You’re almost certainly not reading this from a Missouri jail, where you’re being held on a $250,000 bond. If you answered B, consider the following a public service announcement. Denise Kroutil, a 38-year-old Missouri woman, allegedly found herself facing that same question this past week. After talking it over with the boy’s mother and grandmother, the trio opted for the elaborate-fake-kidnapping route. According to the Lincoln County Sheriff’s Office, Kroutil asked her 23-year-old co-worker, Nathan Wynn Firoved, to play the lead in the terrifying stunt that would ultimately end up landing them both in jail along with the boy’s mother, 25-year-old Elizabeth Hupp, and grandmother, 58-year-old Rose Brewer. While in the truck, Firoved told the victim he would never “see his mommy again,” and he would be “nailed to the wall of a shed.” As the victim started to cry, Firoved showed him a handgun and told the boy he would be harmed if he did not stop crying. Firoved drove the victim around in his truck for an undetermined amount of time. Unable to stop crying, Firoved bound the boy’s hands and feet with plastic bags and covered his face, with an adult-sized jacket, making him unable to see. Eventually, the boy was untied and told to go upstairs where his family was waiting with a lecture about talking to strangers. The boy is currently in protective custody. It’s unclear what he may have learned about the dangers of strangers this week but he presumably discovered a thing or two about the dangers posed by his own family.